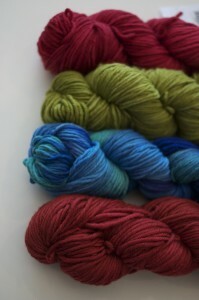 We recently got in a nice new yarn from Malabrigo called Twist. It has all the beautiful colours, softness, and gauge (16-18 stitches per 4 inches) of Malabrigo Worsted but with a Twist…..literally! While Malabrigo worsted has a bit of a reputation for pilling (zero twist is a gauranteed recipe for a bit of a pill) the new Twist avoids this problem because it’s, well, twisted. We have some beautiful colours, as Malabrigo always does. I’m thinking there might be an orange hat in my future….Anina wasted no time in whipping up a lovely tam in the new yarn herself. 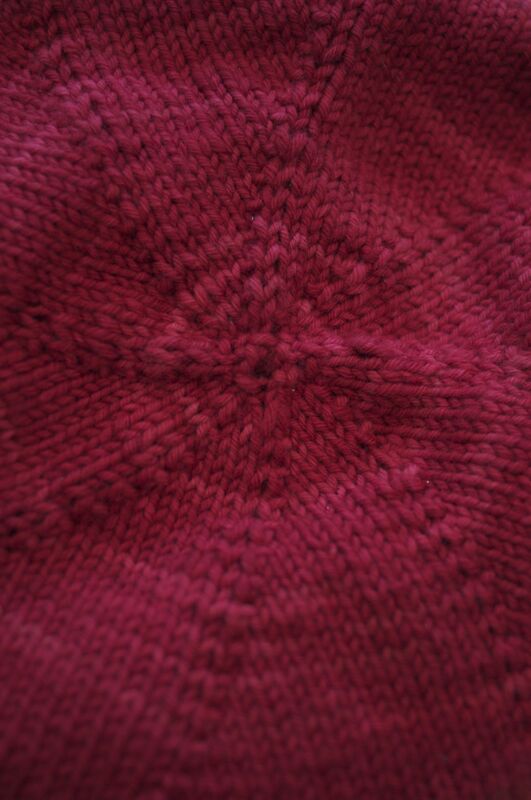 It took 2 skeins because it is a rather slouchy cap. It’s the One Day Beret by Kirsten Kapur. 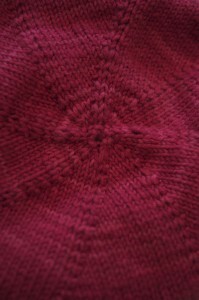 This bad boy really does take just one day and you can find the pattern free on Ravelry here. My favorite little detail is the decreasing at the top. Many berets have nice deceasing but I’m paricularly smitten with the starfishy pattern on this one. 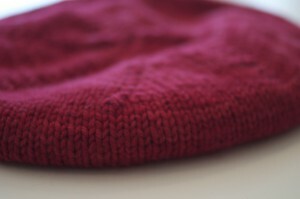 So, drop by to check out the new yarn and get started on your very own One Day Beret today! This entry was posted on Friday, August 13th, 2010 at 10:39 am	and is filed under Uncategorized. You can follow any responses to this entry through the RSS 2.0 feed. Both comments and pings are currently closed. Do you think TWIST might be good for Hallett’s Ledge? Once I put my finishing touches on my Kelmscott I want to cast on a Hallett’s Ledge… will come to you to get the yarn, of course!